During the months following the tragedy of 911, a weary and shocked New York City was ready for a memorial that would eulogize and venerate all those that had perished in the horrific events of that day. Searching for a way that such a monument could jump into existence instantaneously, without the laying of bricks and mortar, the Municipal Art Society of New York City turned to pure light – as evident in eighty eight 7000-watt xenon light bulbs projecting brightly to the heavens. 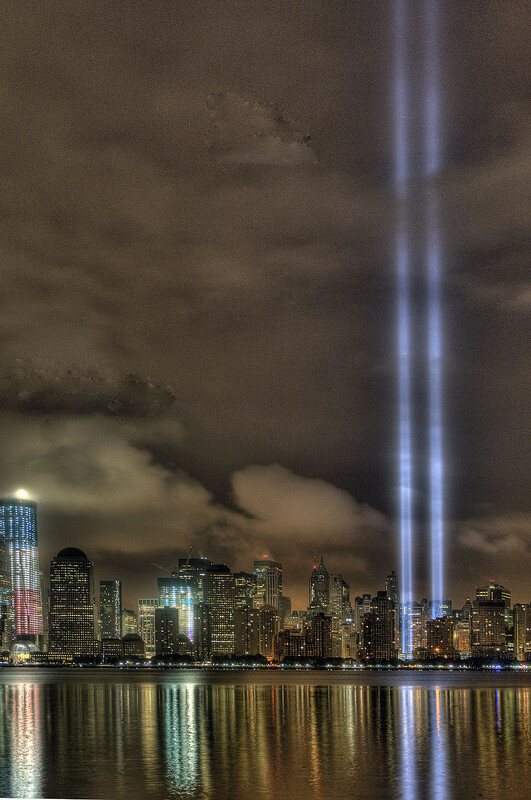 Consisting of search lights that are positioned “into two 48-foot squares that echo the shape and orientation of the Twin Towers,” the Tribute in Light is essentially a dedication in luminesce that reaches 4 miles into the heavens every year on the anniversary of 911 – creating the brightest beam ever seen shining into the nighttime sky. First assembled exactly 6 months after the events of 911 on March 11, 2002 through a grant provided by the Lower Manhattan Development Corporation, the tribute has occurred every year since, as a glowing memorial to those that perished – either as the originally intended victims of the terrorists or as those who died as part of the rescue efforts that followed. It is a testament so brilliant and attractive, even migrating birds can’t resist – flocking and swarming to be a part of the majestic beams as they make their way into outer space. 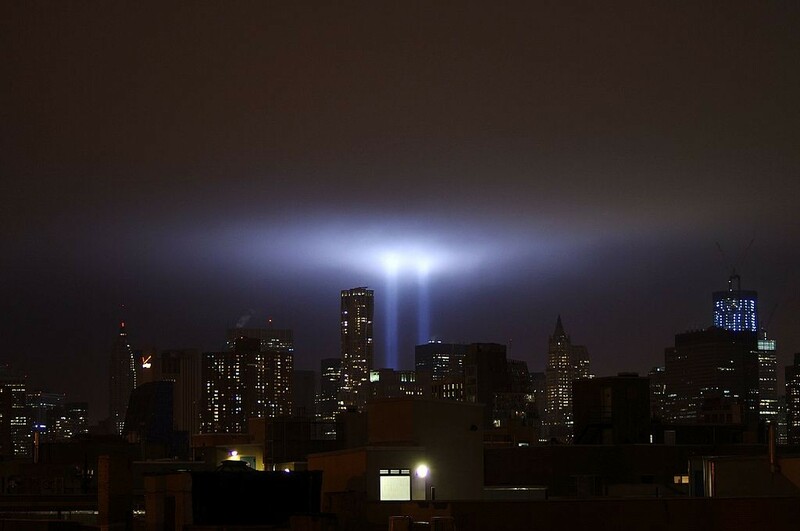 The original idea for Tribute in Light came within a week of the horrors that beset New York City on September 11, 2001 – when a group led by designer John Englehart of the Arnell Group approached Consolidated Edison, the electric utility company serving the area. 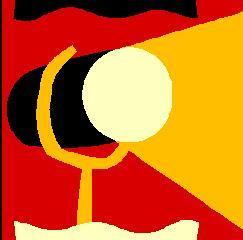 A noted New York architect, Richard Nash Gould, presented the idea to the Municipal Art Society, which thereupon contacted New York Mayor Rudy Giuliani and urged him to go forward with a project that would be entitled “Towers of Light.” Very much agreeing with the idea, Giuliani acquired the services of a lighting company hailing from a city noted for its bright illuminations – Las Vegas, Nevada. Springing from these initial efforts, a creative team including Gould, architects John Bennett and Gustavo Bonevardi of Proun Space Studio, artists Julian LaVerdiere and Paul Myoda, and lighting designer Paul Marantz moved forward with the project. The Municipal Art Society joined forces with Creative Time as the two non-profit organizations providing production support for the realization of the creative venture. Through the graces of the Battery Park City Authority, the location for the project came to be situated in an empty construction lot adjacent to Ground Zero, which “was selected over others in order to avoid interfering with the recovery process and in an effort to be sensitive to Lower Manhattan residents.” As part of the final approval for the initial projection of light in March of 2002, the idea received the endorsement by the Federal Aviation Administration (FAA), and the “light cannons” were provided through a gracious donation on the part of company that manufactured them. Although the demonstration in illumination has occurred every year since 911, its future at one time lay in great peril due to a lack of funding. Unable to find the hundreds of thousands of dollars required to provide the tribute, the Municipal Art Society was forced to initiate a fundraising campaign, but the real salvation for the annual event came when it was turned over to the National September 11 Memorial & Museum, which became the official sponsor for the 2012 anniversary. Usually accompanied by a variety of salutatory measures, the 2012 ceremony marking the lighting of the tribute was attended only by family members of 911 victims and high ranking officials, who for the first time were not allowed to speak at all. Under the auspices of the Memorial & Museum, it is hoped that the Tribute in Light will be preserved as an annual commemorative event for years to come. The twin columns of light eerily rising to the heavens can be seen easily from a 60 mile radius, beginning at sunset on September 11 and ending at sunrise on September 12. At least three quarters of the families affected by the loss of loved ones through the events of 911 have voiced their support for making Tribute in Light a permanent yearly event. Down through the years, the location for the light cannons has changed with the shifting availability of space in a crowded metropolis – but it has persisted as a memorial to those that lost their lives to an overwhelming human tragedy, not to mention the symbolical statement it makes on the need for world peace. As a grassroots endeavor that has morphed and persisted to the present, the yearly memorial comprised of heavenly-reaching light is a testimony to the cathartic impact such endeavors have on the human spirit – and the real need for a national monument to the victims of terrorism is encapsulated in that fact. Please join us and sign the petition by clicking on the link below. This entry was posted in Posts for the Cause and tagged guns and violence, human-rights, memorials, monuments to the fallen, monuments to victims of terrorism, terrorism, terroristic violence, world brotherhood. Bookmark the permalink.